As a retired police officer that transitioned to higher education, I view the unique challenge of school safety as a balance between fostering an open, safe environment for the exchange of diverse information and establishing a secure environment where students, faculty and staff feel safe to do so. Somewhere among the myriad issues of personal and institutional security, firearms policies, campus climate and culture, diversity and statutory regulations reside the public safety policies designed to protect the physical, personal and digital security of educational institutions. Haley Myers just wrote an excellent piece for this publication outlining the means of critical communication during school emergency response protocols. Additionally, emergency event identification, mitigation, response and recovery have all evolved due to technical and critical analyses of past events. Federal authorities have compiled best practices and distributed them through their various reports and publications. Federal-level compilation of effective response tactics can edify local campus policies by illuminating and recommending those best practices. The 3-step Run. Hide. Fight. Plan—suggested through the FBI’s Critical Incident Response Group—posits a simple and clear reaction to campus threats that is easily digestible for faculty, staff and students alike. In truth, the simpler the response the more likely the plan will be followed once the effects of emergency incidents evoke the natural fight-or-flight instincts. Such reactions can create a virtual paralysis in the execution of fine motor skills. They also impair thought processes and induce tunnel vision in all but the most experienced first responders. Forethought, planning and regular training sessions can help mitigate and avoid the compounding harms of immobility and inaction when emergencies occur. At the recent annual conference for the International Association of Chief of Police, free copies of the FBI’s campus shooting training video, “The Coming Storm,” were provided in an effort to spread active shooter best practices industry-wide. The video begins with a 25-minute depiction of the lead-up, chaos and aftermath of a school shooting from the perspective of students, parents, faculty, staff and emergency response personnel. The actors frequently sidebar and offer facts and recommendations in live-action time to demonstrate how variables of the event, and the application of best practices, may impact resolution and recovery efforts. This is followed by a 13-minute debrief from authorities that were involved in handling several high-profile active shooter incidents at Ft. Hood, Washington Navy Yard, Virginia Tech and Sandy Hook/Newtown. In this second part of the video, FBI and law enforcement officials, along with survivors of the incidents, provide their insights in hopes of educating viewers about potential resources and recommend actions in future events. 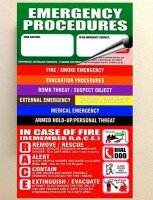 For any institution seeking to create or amend emergency response protocols, a few sources are essential. The governing standards on the topic are defined in the Guide for Developing High-Quality Emergency Operations Plans for Institutions of Higher Education. The Departments of Education, Justice, Health and Human Services and Homeland Security, along with the FBI and Federal Emergency Management Agency (FEMA), collaboratively produce this manual. The comprehensive manuscript offers guidance for developing an entire spectrum of emergency response protocols, including hazmat concerns, fire safety and response, active shooters, natural disasters and more. The guide also covers Clery Act requirements, which specifically outline legislatively mandated annual reporting categories and procedures. The full range of federal directives is documented in the Department of Education’s Handbook for Campus Safety and Security Reporting. 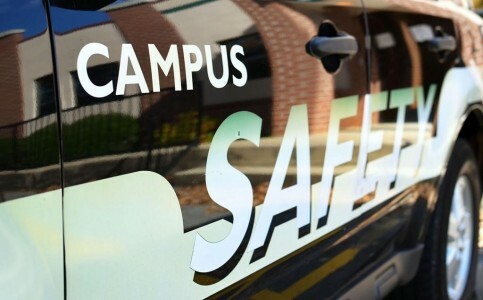 For a complete introduction to these federal requirements for campus crime and incident reporting, the Department of Education provides an interactive online training module. It is highly recommended. Once familiarized with these standards, one should be able to define the qualifying parameters for geographic areas of a campus (e.g., on/off campus, public areas, streets, parking lots, fields, etc.) and the types of incidents and crimes (e.g., UCR Part I crimes, student arrests, related disciplinary actions) that must be reported annually for each institution. Covered within these resources is accumulated knowledge over the past few decades from after-action analyses of school-related emergency responses. From the development of basic terms and campus committee formation and governance, to strategic planning and the use of threat assessment teams (TAT) and mitigation practices, to response and recovery actions memorialized through documentation and reporting protocols, these guides are mandatory reading for campus public safety professionals. Taken as a whole, they provide prescriptive guidance on industry standards and best practices that can be blended with campus culture and conditions in order to balance safety with the demands of an inclusive, respectful and diverse learning environment. For those seeking to maintain an open atmosphere for the exchange of knowledge, where students feel personally and intellectually safe, these federal guidelines and protocols offer the policy elements for producing such an environment. Author: Donal Hardin is a retired policing and corrections professional specializing in public safety ethics. Having filled various roles at institutions of higher learning, Donal is currently teaching criminal justice coursework. Donal holds a doctorate in public policy and administration and a master’s degree in criminal justice. He can be reached at [email protected].